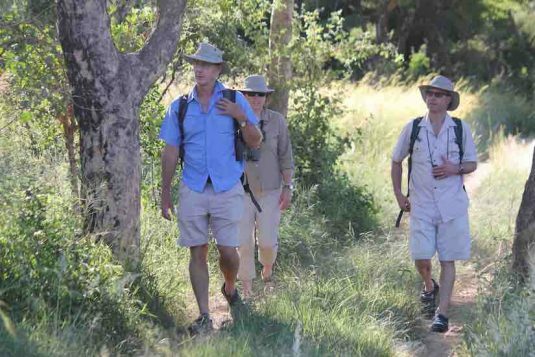 A safari with David Foot is always different, but in this case we had no idea quite how different! 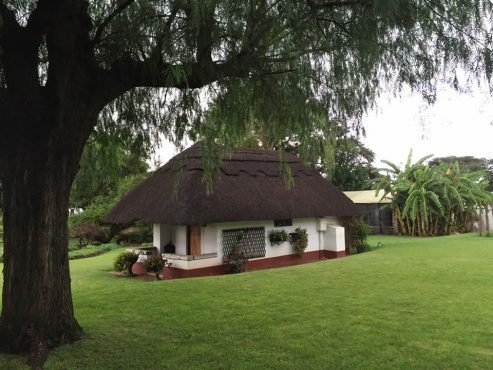 Having enjoyed a relaxing couple of days in the tranquil and luxurious surrounds of the Royal Tree Lodge on the outskirts of Maun, we found ourselves cruising comfortably down the long stretch of road from Nata to Zimbabwe for the kids’ half term weekend. 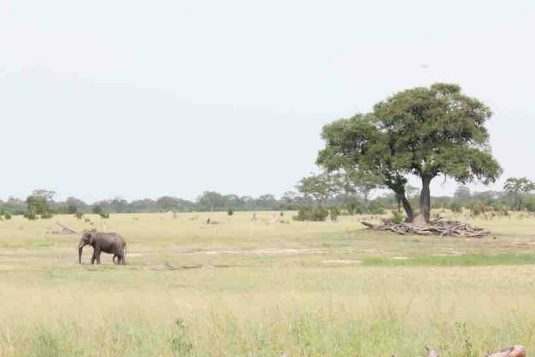 Good tarred roads with great views of elephant, giraffe, steenbok and the odd kudu makes Botswana a self-drive’s paradise. We might have guessed that our route, chosen by David, would be taking us through one of the remotest border posts, Pandamatenga, where a notice board proudly proclaims “We are here to serve”. In this instance – not. A football match some 6 kms away had taken precedence, but, being avid sports fans ourselves, we were completely sympathetic to this minor inconvenience and waited patiently. Having learnt that we were the first visitors to pass through in some weeks only added to our sympathy and it soon became apparent why. A rocky and dusty, infrequently used dirt track led us to the park entry gates and into the renowned Hwange Game Reserve. We were equal parts excited and apprehensive, not really knowing what to expect. The news of Zimbabwe has been anything but positive for many years, however, the beauty and splendour of this incredible park with such diversity fortunately remains untouched. Storm clouds gathered ominously in the distance. The air was electric. 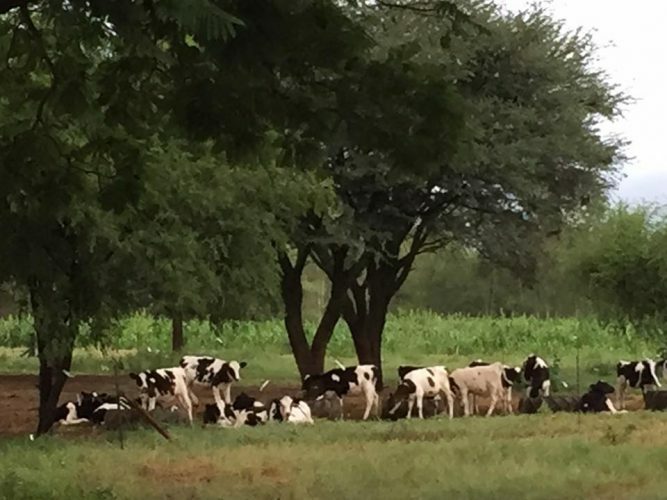 Africa was experiencing the worst effects of drought brought about by El Nino and evidence of this was apparent in the parched river beds, animal carcasses and sparse grazing witnessed everywhere since our arrival. As if on cue, rumbles of thunder and clashes of lightning reached crescendo as we drove into Robins Camp to pay our park fees, and the heavens opened. We were drenched – but what a welcome and a glorious welcome relief as the earth’s scorched crust was momentarily quenched. Multi-tasking national park stalwart Gloria (cashier, receptionist, hostess) extended an enthusiastic welcome – it had been some time since any guests had passed through here too – but she politely and firmly informed us that this was to be our unforeseen stop-over for the night. The roads, in her opinion, would be impassable after the heavy downpour, and in addition, vehicle movements were restricted after-hours. With all its dilapidated charm, friendly and competent staff (there were indeed wine glasses if we needed), self-catering at Robin’s was not our first choice for a romantic Valentine’s evening – even with the promise of a bucket-load of wine under the stars! The storm passed, and a change of heart by the Park Warden saw us out of there and slipping and sliding our way to our intended destination. 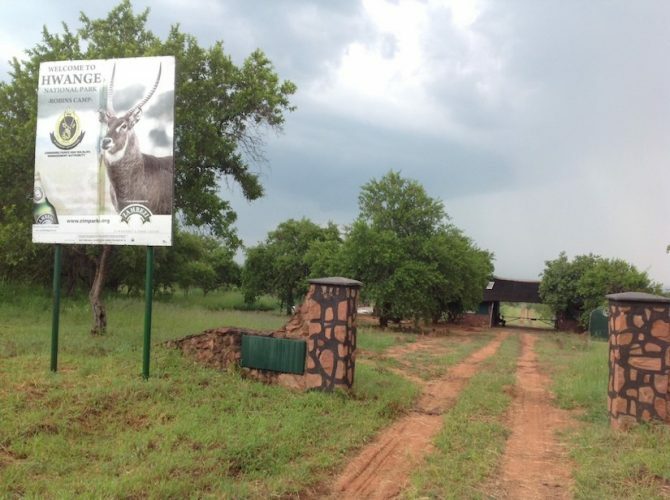 There was a moment, however, whilst determinedly pushing and hauling our Toyota through treacle-like mud under the bemused and startled gaze of a resident herd of Roan Antelope, that Gloria’s words came back to haunt us. 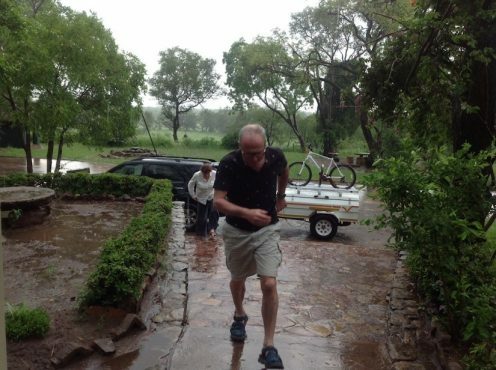 Nonetheless, it was, with caked clay feet in handy plastic bags, that we arrived to the warm, welcoming and unassumingly charming Camp Hwange. A welcome G+T on ice had never tasted better. The next 3 days were wonderfully relaxing and full of surprises as we explored uncharted territory for us all. This was not the first time David had taken us to a wildlife area which was a first for him too. His curiosity and infectious need to discover and learn is contagious. Participation was key and Isobel was put in charge of maps whilst Robyn and I were responsible for road clearing and other necessary bush tasks. We were keen to avoid the inevitable, having tended to one puncture already on our journey. 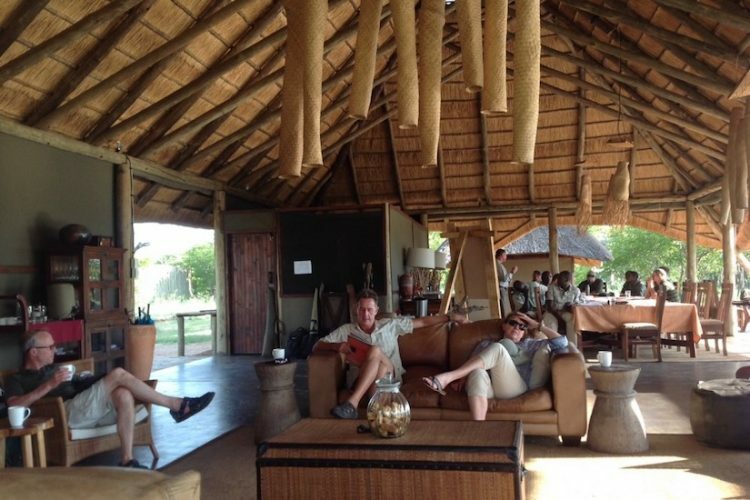 We also had the unexpected pleasure of bumping into the renowned and highly respected professional guide, Gavin Ford, who was conducting an in-house guide’s training programme for potential and budding recruits, and who was also staying at Camp Hwange. Over the next few days we had the privilege of observing his expertise from a respectful distance as he put this group of keen and hopeful conscripts through their paces: the Zimbabwe guides’ training programme is considered to be the most comprehensive and toughest. The many platform hides in Hwange have been carefully positioned around pumped water holes throughout the park thus offering some of the best game-viewing experiences in Africa, including the inevitable resident hippo pods. Contented hours can be spent quietly observing the many animals the park is home to as they come to drink. 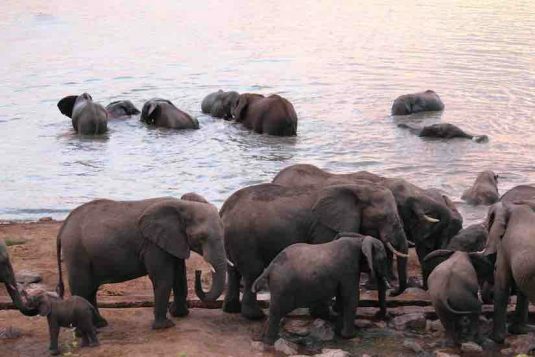 Undoubtedly a highlight for us was witnessing a large breeding herd of elephant gatecrash a hippo wallow at Mazuma Dam and have their own private pool party. It was here that we had the pleasure of meeting Godfrey, the resident guard on duty. One could not help feeling humbled by this gentle, conscientious and enterprising gentleman. This has been his work station for the past 7 years and the surrounds (animals and campsite alike) could not have had a better caretaker. His intimate knowledge of birds and beasts was riveting and his humour engaging. 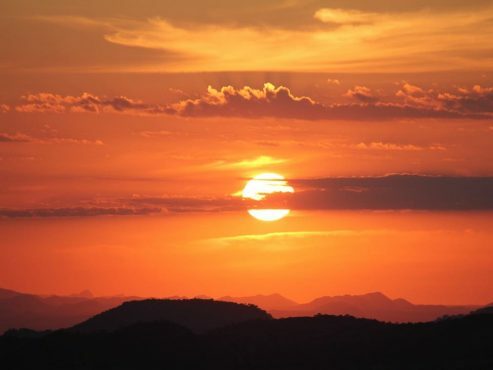 As clouds once again gathered with the promise of rain, he quietly assured us that “ our clouds are like our politicians ….. they keep promising, but fail to deliver”! We learnt that one kind visitor had taught him how to knit and he was managing to supplement his meagre income by selling beanies, socks, scarves and cell phone covers. 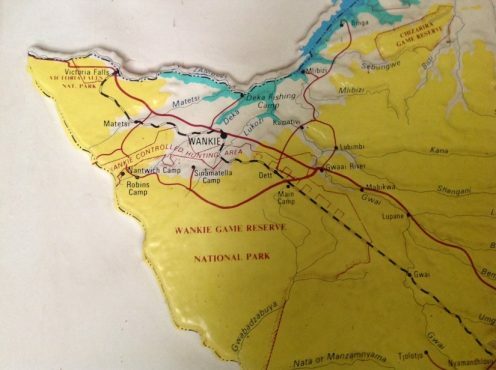 He had also taught himself to weave unusual elephant bracelets by collecting snagged elephant tail hair from the bushes around the dam. With wonderful memories and the spoilings of Camp Hwange to cherish we were soon on our way southward out of the Park through Main Camp to spend a couple of nights with Foot friends on a small dairy farm on the outskirts of the city of Bulawayo. One could have been mistaken for thinking you were momentarily on a farm back in England with verdant green pastures and a Holstein dairy herd in superb condition. This is a farm which has been home to 3 generations and our hosts were extremely hospitable and charming. Over sundowner G + T’s in the summerhouse overlooking the immaculate lawns and well-kept flower beds, it became all too apparent how fragile and surreal the situation on the handful of farms left in capable hands really is, with almost unsurmountable challenges that the people and this country face daily. Having collected young Harry Foot early from his school, Falcon College, for the half term weekend we were soon experiencing the delights of shopping in Bulawayo. This bustling city has seen better days, however, it still has a charm and grace that is beguiling. 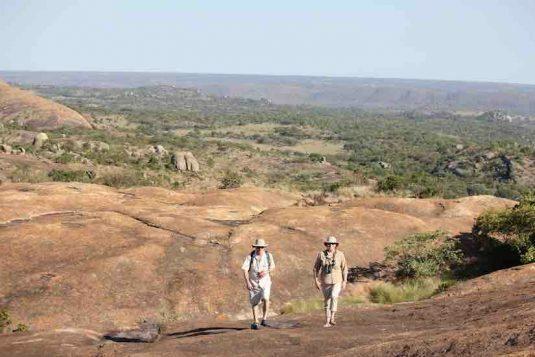 The famous Matopos Hills is conveniently situated less than an hour away from Bulawayo and we were excited to be experiencing different facets of it over the next few days. 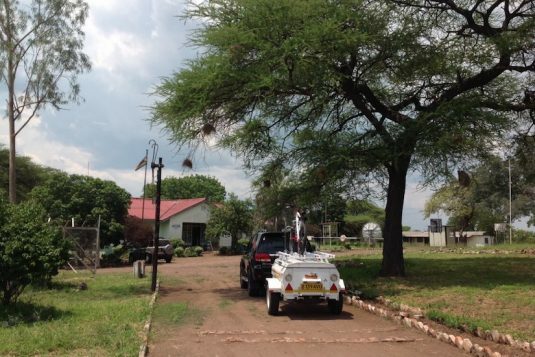 Our first couple of nights was at a private guest house owned by friends of the Feet, Camp Dwala. This comfortable and unassuming array of thatched cottages is tucked neatly in a valley surrounded by massive whale back “dwalas” or rocks. The juddering corrugated 40 km drive was somewhat unnerving, but after a friendly warm welcome from Surrender, the caretaker, it was soon forgotten. Our days were spent hiking and exploring these fascinating dwalas and the surrounding vlei with its abundant birdlife – bishops, paradise flycatchers, rock buntings, bee-eaters and fabulous views of the magnificent black eagle soaring either above us or beneath us. Delicious cooked breakfasts of eggs, bacon, beans and sausages and evening bush braais with tasty delicate cuts of good Zimbabwean beef washed down by (possibly) too much red wine only added to the joys of feeling that this was a true holiday. 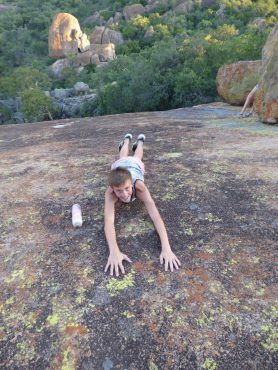 We made our way across to the other side of this land of rocks and spent the last 2 nights in the relative luxury of Big Cave Camp. The accommodation was excellent, with elevated breathtaking views. 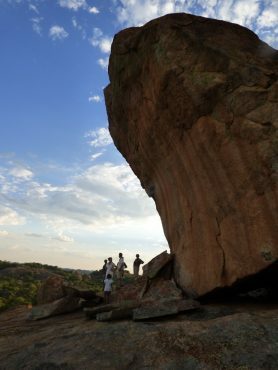 Being a popular weekend hang-out for Bulawayo locals, with a comfortable well-run camp site, it was bustling socially. It gave us an insight into what life really is like for the residents who face ongoing challenges in this remarkably beautiful country – and how it is always possible “to make a plan”! It was during our stay here that we got to meet Beks and his charming wife Sophia Ndhlovu. 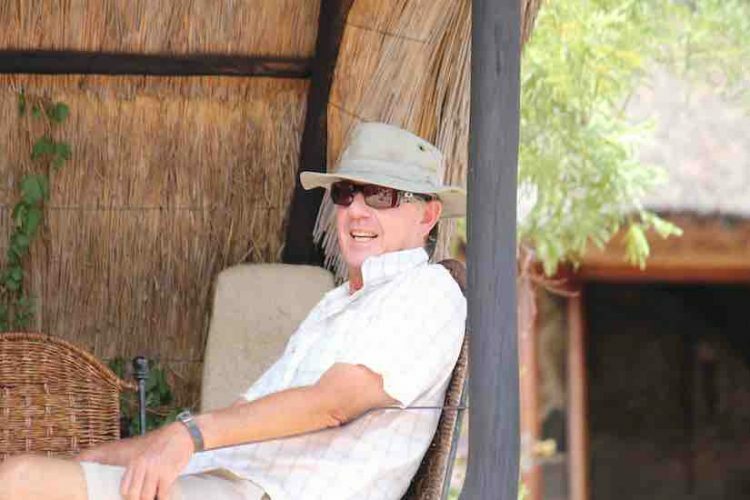 Beks, Zimbabwe’s first successful black guide, and current owner of several award-winning safari lodges in both Botswana and Zimbabwe, had invited us over for lunch to his private Matopos hideaway adjacent to Big Cave, and a short drive away. This modest couple’s tireless dedication to conservation and social responsibility is beyond admirable and it was indeed an honour to meet them. The highlight of the day was enjoying a final sundowner with the Ndhlovu family perched high up along a rocky ledge and learning in more detail the history of the area whilst being observed by yet another pair of black eagles in a thermal, swirling high above us. Our final days approached, and determined to make the most of the time left, we were up at dawn hiking, and exploring as much of this area as we could. This included the famous Big Cave itself with its collection of San art. In between hikes and meals we managed to squeeze in some challenging games of scrabble and holiday reading. 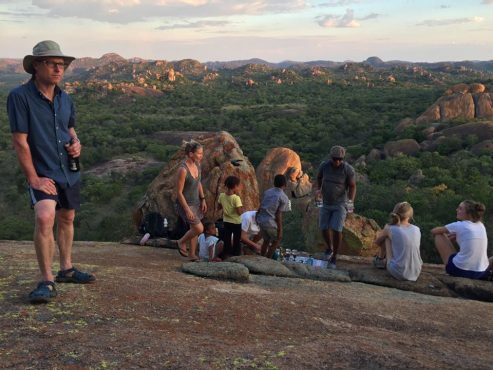 A surprise bush dinner set out on a massive whale back whilst observing a dramatic lightening display in the distance bringing the promise of much-needed rain was enough to make us feel terribly reluctant to leave. 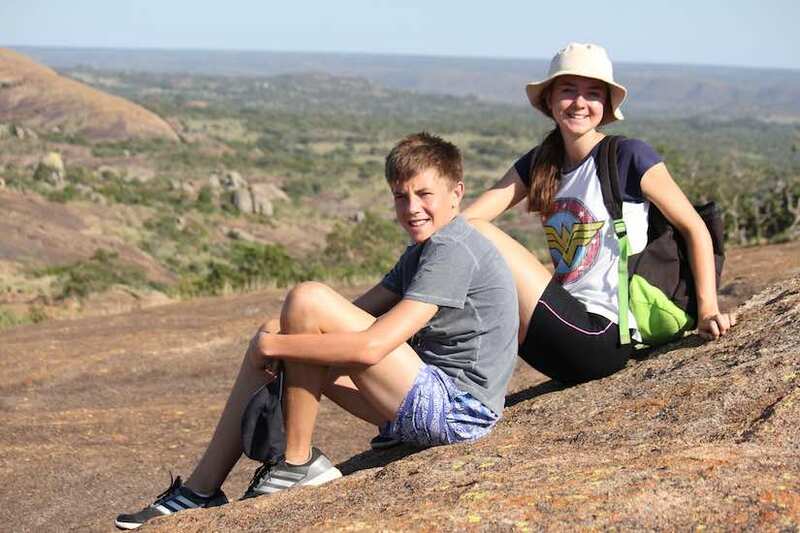 After mandatory haircuts and stocking up on tuck, Julie and Harry were despatched back to their respective boarding schools, and David and Robyn refuelled and made their way back to Botswana. We spent our final two days back on the farm gaining more of an insight into how complex and desperate the situation in Zimbabwe is. One can’t help feeling that there has to be a better way of securing Zimbabwe’s future for all of its citizens. Bidding farewell to new friends, we left this amazing country in sunshine with a further promise of rain in the offing. 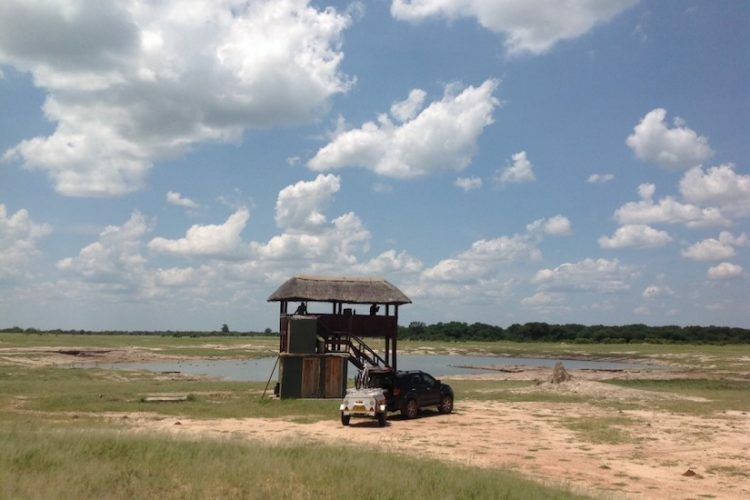 The post A Safari With a Difference appeared first on Ride Botswana.